Netflix (s nflx) has built up a cult following in the IT world for the work it has done developing software that bends the Amazon(s amzn) Web Services cloud platform to Netflix’s will. 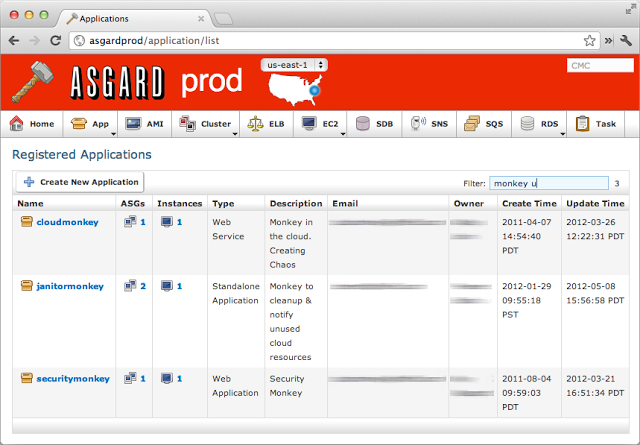 One of its shining stars is Asgard, a web interface that lets engineers and developers manage their AWS infrastructure using a GUI rather than a command line. Now, Paypal (s ebay) has rebuilt Asgard to run on OpenStack, the open source cloud platform that Rackspace(s rax) helped developed with a primary purpose of competing with AWS. This is a promising development for OpenStack, which has suffered somewhat from a lack of tooling compared what’s available on AWS and, thanks to Netflix, for AWS. If OpenStack users are able to port some of this innovation over to that platform (another Netflix OSS Cloud Prize finalist generalized Netflix’s Chaos Monkey tool to run on non-AWS environments, including OpenStack), it could help bring more users on board and catalyze even more innovation atop the platform. At any rate, it’s always good to have a big user pushing the limits of a technology and helping drive its development to encompass new capabilities. It certainly wouldn’t hurt OpenStack if Paypal, or anyone else of the non-service-provider variety, became to that platform what Netflix is to AWS or Yahoo was to Hadoop(s yhoo). Feature image courtesy of Shutterstock user SurangaWeeratunga. This is a pretty interesting twist. Paypal has done a ton of work in blazing the way forward of integrating OpenStack and VMware ESXi. So, I guess this really shouldn’t be surprising. I’m consistently impressed by the infrastructure team over at PayPal. where did you learn to write, good grief? Do you want to help us with our innovation management research?